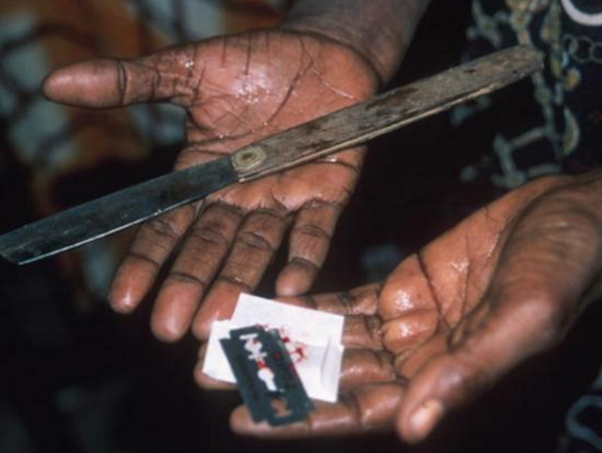 While delivering a speech at a high level meeting on female genital mutilation organised by the Sericare Foundation in collaboration with UNFPA in Osogbo on Tuesday, Governor Rauf Aregbesola said it was disheartening that female genital circumcision still happens in the modern world. Describing the act as very primitive, he maintained that the female circumcision bears no good at all for anybody. He called on all those engaging in it to reject the act. According to Aregbesola, circumcised women are more promiscuous than uncircumcised women. He described Female Genital Mutilation as a sin against humanity. Wait a min… If i may ask, wat ar they even circumsizing dia? A place dat on its own, alrdy looks lk a big wound, they still wnt 2 inflinct more wounds on dem. Seriously, dis kind of act is barbaric n unpardonable coz wat eva they cut off 4rm dat place wld neva grow out again till death. Such wickedness!